Dr. Kindy attended USC and received his Bachelors of Science degree in 1983 also attended the University of California at San Francisco and received his DDS in 1987. He is a long standing member of the American Dental Association, the California Dental Association and the Tulare-Kings Dental Association. Dr. Kindy has provided dental services for many years to the Visalia Rescue Mission. 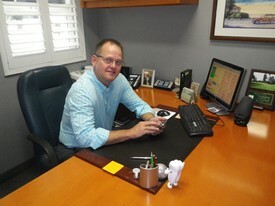 Dr. Kindy is a native of Visalia and has been in practice for 29 years. The first 12 years he worked with his father Dr. Richard Kindy, and continues his solo practice. Dr. Kindy and his wife Laurie have three adult-married children and 2 grandchildren.